Having a miscarriage is never your fault. And it’s depressing and stressful as hell (pardon my French, but it is). When you’re ready to start trying again, you want to feel as though you have some control over preventing it from happening again. And while you know it’s not your fault, you wish you could do something. It’s frustrating when your doctors have no answers and just tell you to keep trying. You don’t want to just cross your fingers and hope it’ll stick this time fearing going through heartbreak all over again. From a Chinese medicine perspective, there are things you can do to support your body in being ready to sustain a pregnancy. One of the most important things you can do is to improve your digestion. In this short video, I explain the connection between your digestion and your fertility. So if you've ever had a miscarriage, then most likely you're wondering what you can do to avoid having another miscarriage. And of course, if you had a miscarriage, it's never your fault. So when women ask me, "Well what can I do to avoid it?" Or if I say, "Here's some things that can help set you up for lasting pregnancy or help you to avoid and prevent a miscarriage." It's never to imply that you did something wrong or that you didn't do something. It's never your fault to have a miscarriage. There's many reason why and it's completely out of your control. But of course, it's super frustrating if your doctor doesn't have any advice for you. Can't say, "Well if you do this, this'll help set you up for healthy pregnancy that can be lasting." Because obviously you don't want to just keep trying and doing the same thing again and again without doing something that can help you to have success and not miscarry again. Because miscarrying is so stressful, it's physically successful, it's emotionally stressful. Nobody wants to go through it ever. But if you've ever been through it, you certainly don't want to go through it again. And the good news is that there are things that you can do to help set your body up for a healthier lasting pregnancy and it's so important to do it before you even get pregnant. Because once you get pregnant, it's like the ingredients are already in the oven. And there's not a whole lot you can do to influence the pregnancy at that point besides, of course, yes, you do want to support your body and support your pregnancy. But if the pregnancy is not viable at that point, it's really difficult to change that. But what you do before you get pregnant will help set you up for a more viable pregnancy. So one thing that I really like to teach women about is the connection between your digestive system and miscarriage. A lot of women are surprised that your digestion actually really has a huge influence over your body’s ability to sustain a healthy pregnancy. And if your digestion is weak, then it can actually cause some issues that may make it more difficult for your body to hold on to a pregnancy and support a healthy pregnancy. So supporting digestion is such an important focus in my online program, Fertility Activation Method. And it's such an important focus that in my four phase protocols for a healthy cycle as well as the wellness protocols that I have in my program to keep to prepare your body for pregnancy. And this is why there's such an important focus on digestion in my program, it's because you’re having a strong healthy digestion has such an important role ... it plays such an important role in your body actually being able to hold onto a healthy pregnancy. This is because digestive energy, your digestive energy, creates a lifting and securing energy in your womb. So if your digestive energy is weak, then the energy is not there inside your womb to hold onto an embryo and secure it in the womb. Okay, because your digestive energy is what helps to keep things in place in your body. So if your digestive energy is weak, then you're more likely to bruise, for example, because your blood vessels aren't as secure and able to keep the blood within the vessels and they're more susceptible to bruising. So this is the same thing when it comes to your uterus. If your digestive energy is weak, the walls of your uterus are actually going to be weak. They'll be more prone to bleeding and they'll be weaker in terms of being able to actually hold onto an implanted embryo and nourish it and make sure that it's a strong healthy viable pregnancy. Your digestive energy is like a pod over a fire from Chinese medicine perspective. And so when that fire becomes weak, and this can become weak from different things — it came become weak from the food that you eat. So if you're eating a lot of cold food or your eating a lot of uncooked vegetables as opposed to cooked vegetables. Or if you're eating a lot of sugar, carbohydrates, dairy, then this digestive fire underneath the pot becomes weak. And then it makes it more difficult to break down all the food that's in the pot so that your body can use it. Now when this fire becomes weak, what happens is that it needs some strength from a backup battery, from a backup fire source. And what is that backup source? It's actually your reproductive warming energy. So it steals energy from your reproductive system to support digestion because digestion is a priority, right? Your body needs nutrients to survive. So it kind of puts the reproductive energy on hold, steals the energy from reproduction to help boost digestion. So when your digestive energy is weak, it's going to weaken your reproductive energy. And this will also have an effect on your body's ability to create and support a healthy viable pregnancy. This is why digestive energy is so important. When your digestive energy is weak, it can't hold in an embryo and sustain a viable pregnancy and so then you'd be more prone to miscarriage. And also, if your digestive energy is weak, it's going to steal energy from your reproductive organs that are needed for a healthy viable pregnancy. The third way the digestive energy is so important for a health viable pregnancy is because if your digestive energy is weak, then it's not going to be able to assimilate the nutrients needed to nourish your uterine lining as well as to nourish your egg quality. So when your eggs are maturing, they're not going to get the nutrients they need to be healthy eggs for ovulation for a healthy pregnancy, for healthy viable pregnancy. And also, if you don't have those nutrients available to nourish the uterine lining, then your uterus is going to be less likely to be able to support a growing pregnancy. What are some signs that you need more digestive support? If you have a lot of gassiness, if you have a lot of bloating, if you have a weak appetite. If you're not eating breakfast, maybe you don't have any appetite in the morning or maybe you just skip breakfast because you're to busy. If you're having stomach pains, if you have loose stools, constipation. These are all signs that you need some more digestive support. And the better you support your digestion, the better chances you'll have at a healthy viable lasting pregnancy. And again, this is why this is such an important focus in my program, Fertility Activation Method. 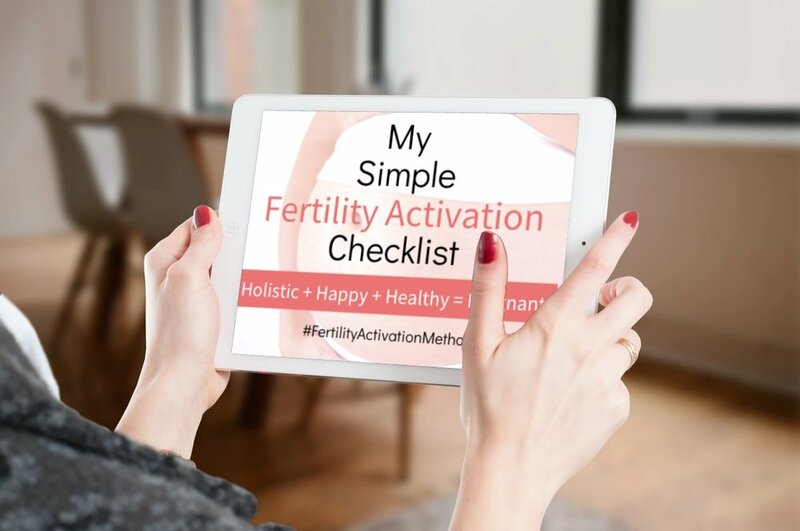 This is a focus in all of the protocols that support each phase of your cycle for healthy fertility and also the wellness protocols. Because the wellness protocols are focusing on making sure that you are supporting your digestion as well because it is just so important to having a healthy pregnancy. If you want to learn more about having a healthy pregnancy, how to get pregnant in an easier, healthier way using my four step method. And also, if you want to learn the three biggest mistakes that women make that keep them from getting pregnant now, then sign up for my masterclass HERE. Take care of your digestion, okay?